The Rolex Fastnet Race 2017 was the largest offshore yacht race in history, featuring some 400 yachts and 3000 crew members from 29 countries, competing over a 1120km course from Cowes to Plymouth via the Fastnet Rock off the Southern Irish coast. 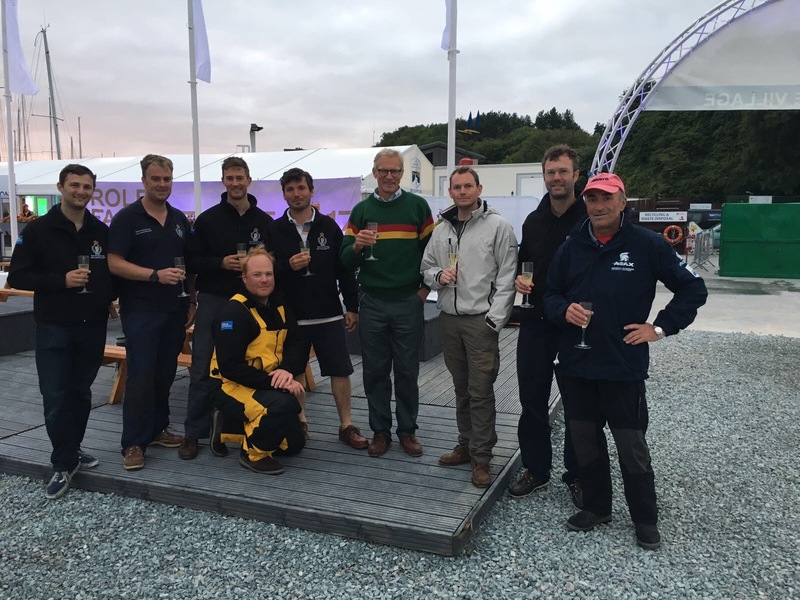 Thanks largely to the Ulysses Trust’s generous sponsorship of three members of the Regiment who were able to compete in the Volvo Round Ireland Yacht Race in June 2016, The Royal Wessex Yeomanry were able to consolidate on those experiences and had secured the bid to lead the Royal Armoured Corps Yacht Club’s Fastnet Campaign in August 2017. 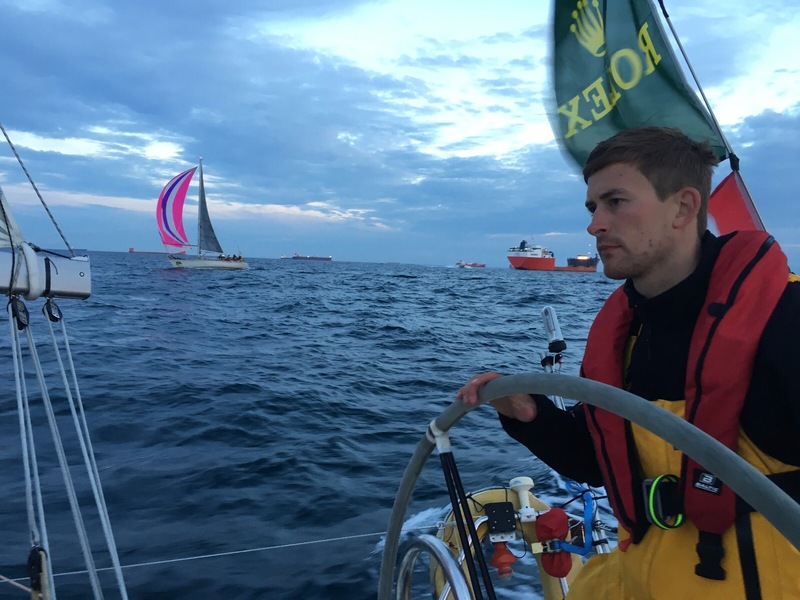 Between April and July 2017 both the yacht and the crew took part in 3 qualifying races with ‘glamorous’ destinations such as Le Havre, Cherbourg and St Malo. 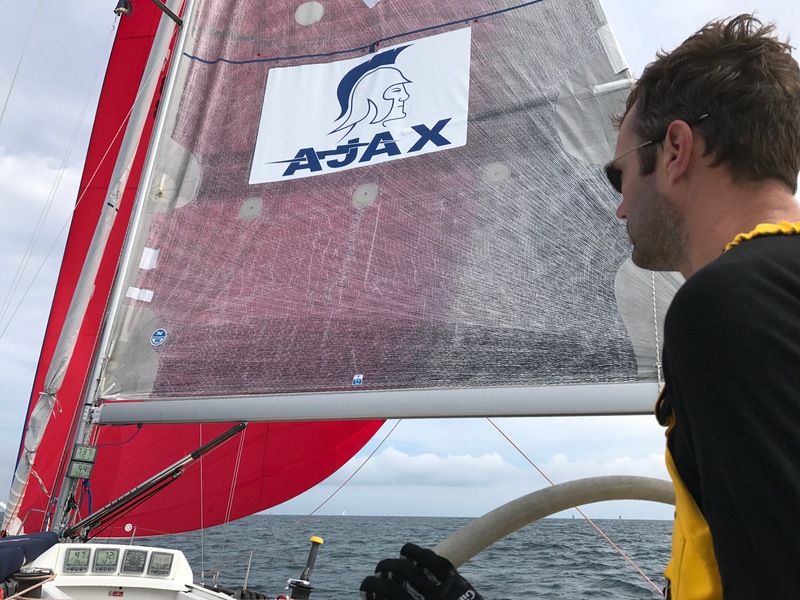 The crew each racked up over 600 nautical miles crossing and re-crossing the English Channel in wind conditions ranging from dead calm to Force 8. 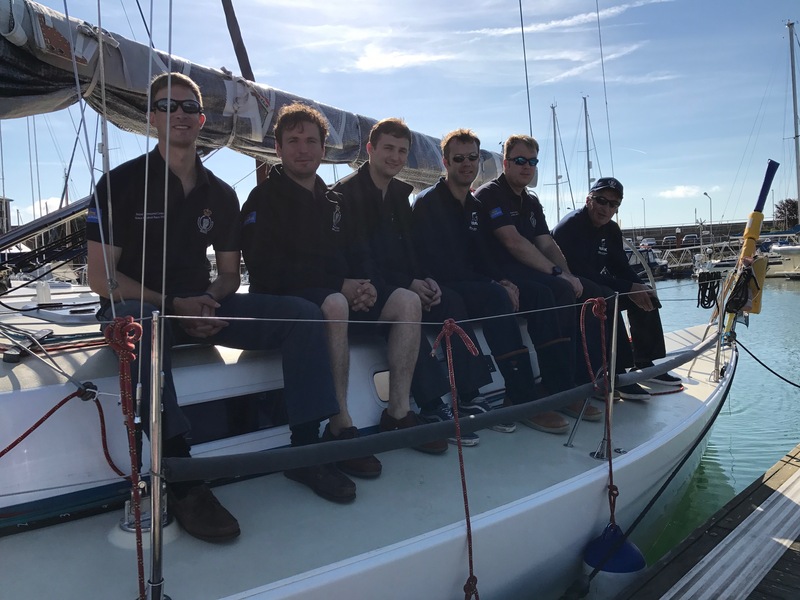 By the time the Fastnet Race came around we had turned ourselves from a bunch of willing novices into some semblance of a crew and had collectively attended 23 RYA courses ranging from first aid and sea survival, to competent crew and yachtmaster offshore. After months of preparation the big day Sunday 06 August 2017 finally arrived, and all those seemingly mundane preparatory tasks culminated in an experience that none aboard would soon forget. The start-line was pandemonium. The wind was rising Force 6 and there were yachts heading at speed in every direction of the compass as they fought each other to reach the start-line off the Royal Yacht Squadron in Cowes at the perfect moment. We had a good start and miraculously avoided any mischief as we tacked our way out of the Solent. After reaching the Needles we chose to go offshore rather than hug the coast and disappeared off down to the Channel Islands before tacking to pop back up beyond Portland Bill. However it wasn’t completely without incident as we accidently found ourselves in our very own little battle with a fishing trawler, as we were gradually squeezed between the wind angle and the trawler’s nets. This trawler was clearly not going to move out of our way, presumably for fear of fouling his nets, and losing this battle would have meant a significant detour for us around the back of his nets in what was a very crucial stage of the race. It seemed incredible that with all the space in the middle of the English Channel that we had found the one guy who was determined to take us on. With the entire crew literally holding their breath in a fickle breeze we won over the trawler by about 3 metres in a true testament to the stubbornness of West Country fishermen. By the time we passed the Lizard we were in very good shape having had more wind to the south than many others further north. Looking at our satellite tracker on reaching the Isles of Scilly we could see that we were ahead of the Army Yacht ‘British Soldier’ on handicap; first service yacht and lying 91st overall. It certainly felt good! Rounding Lands End and into the Irish Sea the wind had increased to Force 7. Late on the third day it was decided by the duty watch to shorten sail. Putting a reef in the mainsail is a routine drill that had been effected many times before. However on this occasion the helmsman inadvertently crash-tacked the yacht and a young trooper lost his footing on the foredeck and was swept over board. Thankfully all the training we had done paid off and the entire crew sprang into action. Our man-over-board was wearing a life jacket and, most importantly of all, he was tethered to the yacht. He was quickly recovered and treated for cold and shock. I cannot stress the relief we all felt at having been able to recover an individual from the water in the middle of the Irish Sea, in bad weather and in the dead of night. As a testament to the weather that night 2 yachts lost their masts and were towed to Ireland by the Lifeboats. 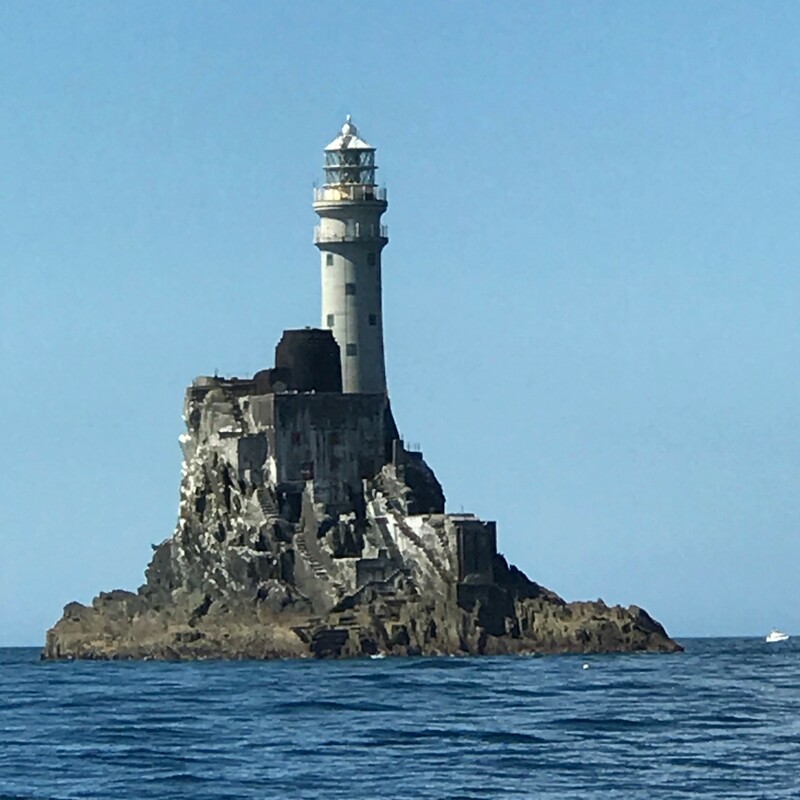 The following afternoon we finally made it to the Fastnet Rock. We had slipped in the rankings to 165th overall but we were confident that we could hold our own going down wind on the way back to Plymouth. We set our largest spinnaker and pointed south for Bishops Rock on the west coast of the Scillies. It was a wild ride with the wind behind us, and more than a few times we were overpowered and broached, ending up pointing back the way we had come with our spinnaker acting like a sea anchor. On approach to Lands End we again found ourselves battling commercial shipping with tankers heading up to Milford Haven so it was a huge relief when we finally finished in Plymouth at 0400 on Friday morning, following a frustrating becalming off the Lizard for the better part of Thursday night. We even towed a Dutchman off the finishing line into Plymouth whose engine had failed to start. We finished 42/80 in Class, 151/312 in IRC Overall and 2/9 Service Yachts; and most of all we were very, very thankful that we arrived in Plymouth with the same number of soldiers that we set out with. This was the opportunity of a lifetime for many of the crew, something that would have been prohibitively expensive to take part in outside of the military and without the generous sponsorship of the Ulysses Trust. The intent of this expedition had always been to complete the race, however in doing so many of the crew had to gain qualifications of their own that will now stand them in good stead and allow them to run expeditions in the future.